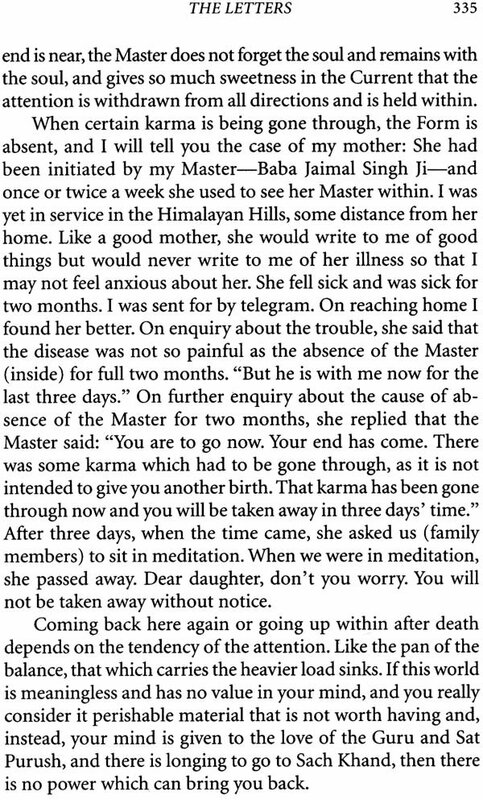 These letters, written by Huzur Maharaj Baba Sawan Singh Ji (the Great Master), originally constituted the second part of a bigger book of the same name, Spiritual Gems The first part of that edition consisted of letters written to the Great Master during the days of his discipleship by his venerable Master, Baba Jaimal Singh Ji Maharaj. Those letters have now been printed as a separate volume under the name Spiritual Letters. This arrangement, besides separating the letters of each Master into different volumes, has rendered the books handy and of a convenient size. 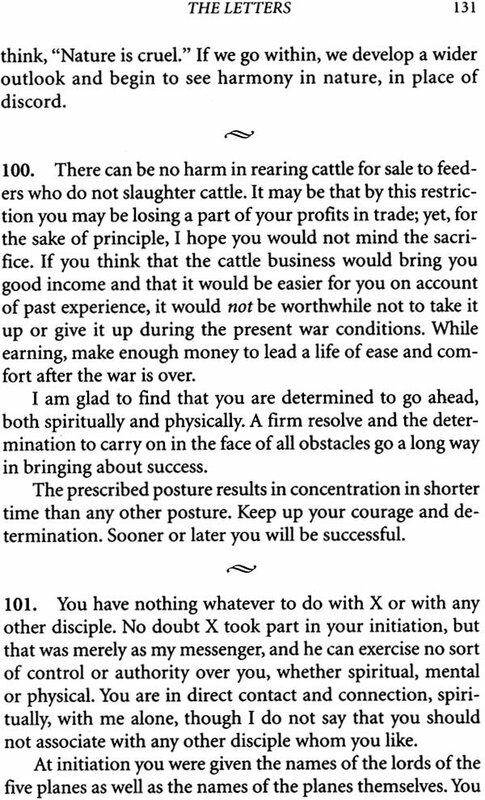 The Great Master wrote these letters in response to the questions and queries of his American and disciples and seekers. 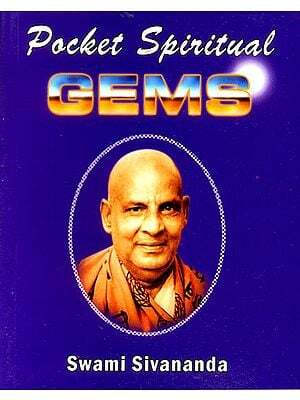 Nearly all the questions and doubts that typically crop up in the minds of seekers of truth and reality have been amply dealt with in this volume, which makes it extremely valuable. These answers are mainly based on Sant Mat principles; thus they serve as a comprehensive discussion of the teachings of the saints. Sant Mat-the teachings of the saints-is not a religion, cult, or creed. 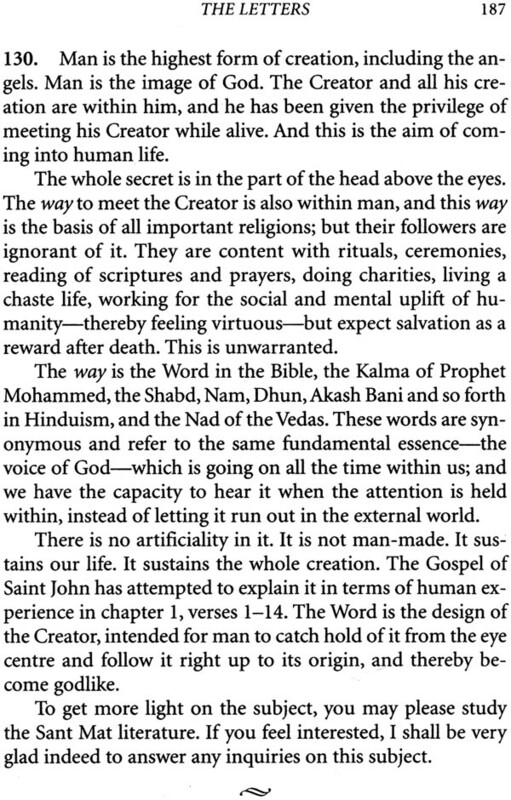 It does not consist of any rituals, ceremonies, dogmas, priesthood, or church or temple worship. It is a scientific method of entering realizing the kingdom of Heaven within us, while we are still living in the here and now. It may be called a school of practical spiritual training for God-realisation. 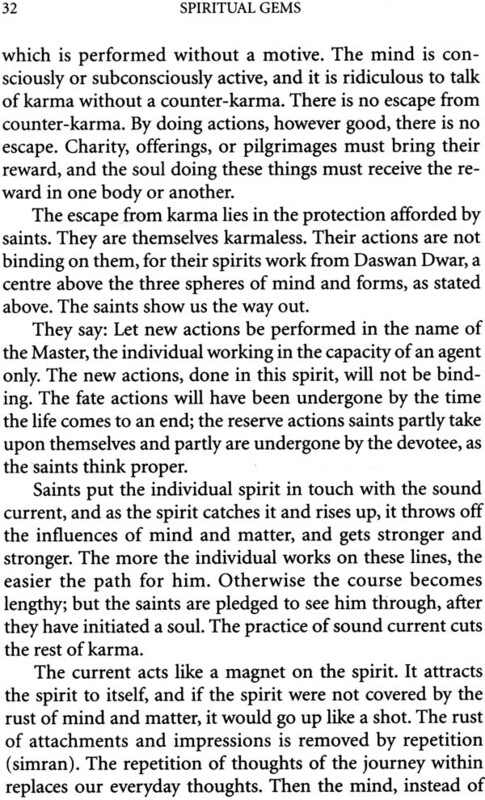 Living in the world and discharging all our obligations towards wife, children, relatives, friends, and humanity, we simply to turn our heart Godward The saints’ teachings are very simple. 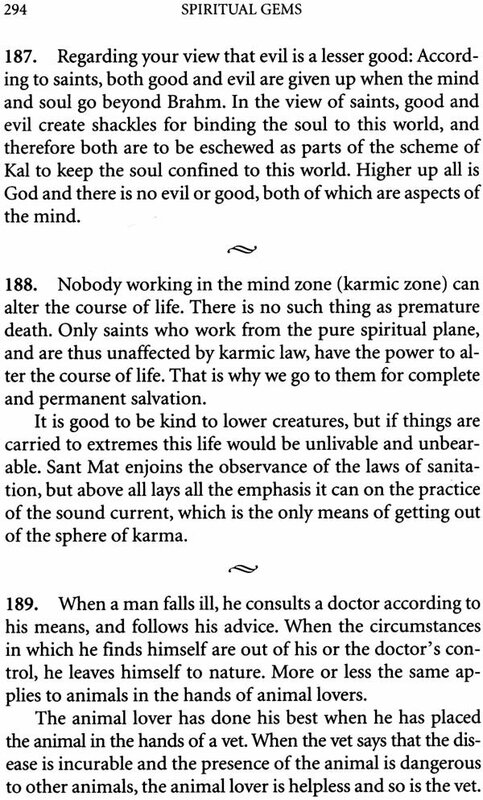 They say that all the woe, saints’ teachings are very simple. 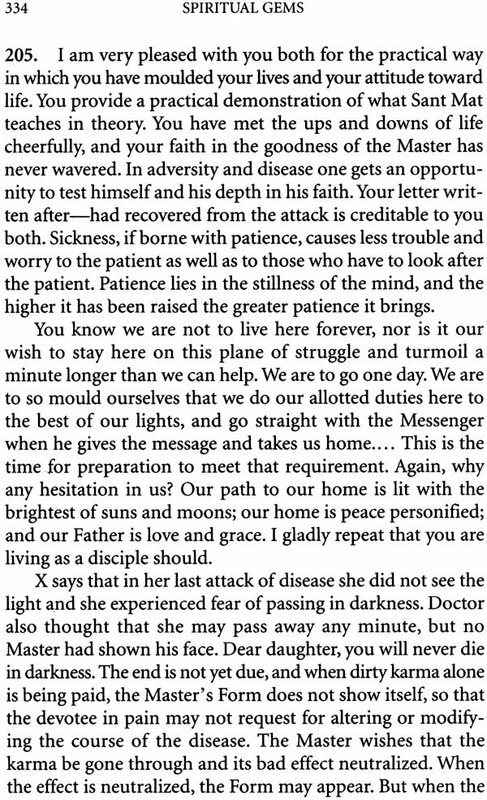 They say that all the woe, misery, and anguish that is the lot of the human race are due to our sad separation from God. This world, which we love so much, is not our true home. Our soul is a drop from the ocean of bliss, life, and energy, from which it separated many millions of ages ago. It is a stranger in this foreign land of agony and grief. There is nothing homogeneous to it here below in this world of earth, water, fire, and air. Unless it returns to its ancient original home, its sorrows and sufferings cannot and will not end. For this purpose, it need not seek anywhere outside of itself. 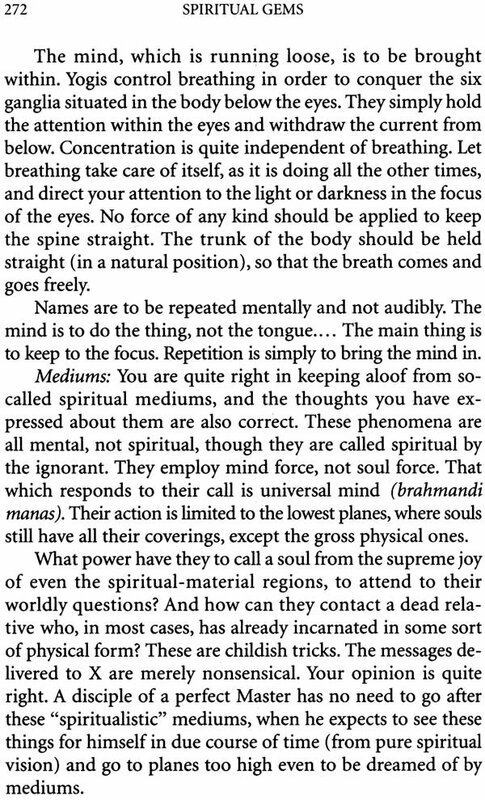 Our body is the temple within the Lora resides. No one has ever found Him nor will ever find Him outside. All the saints, sages, and prophets of the world affirm that “the Kingdom of God is within us,” and that one is not to wander outside to achieve salvation. The Lord dwells in this “temple of nine gates” (our body). One only needs a teacher or guide who knows the secret of the path to enter this palace, one who can lead us to the presence of the Lord-our loving Father. This is possible only in human life. No subhuman species has this capacity or privilege. A teacher of the science of spirituality is as much needed as is a teacher of any other science or art. This unknown path is so curved, complex, and labyrinthine that one cannot tread, it without the help of a guide-an enlightened soul. 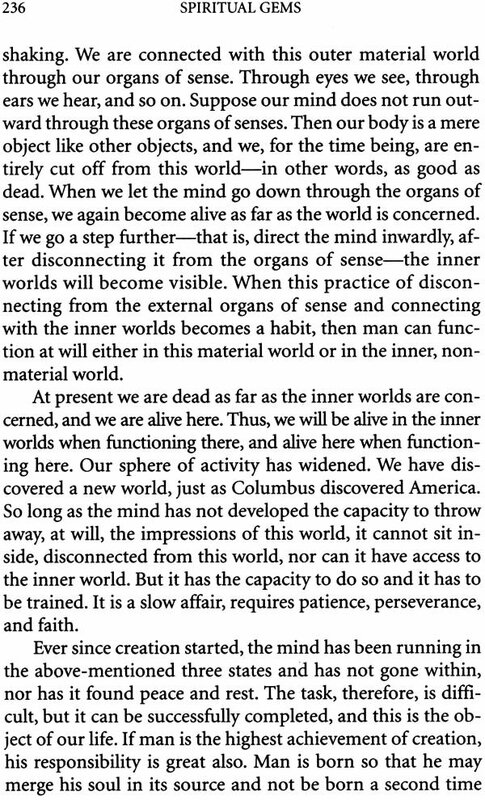 This guide must be a living Master, who can take us to the highest region, beyond death and dissolution, there is no coming back. Such Masters are always present in the world. The Masters who died long ago, or their writings, can be of little help to us. 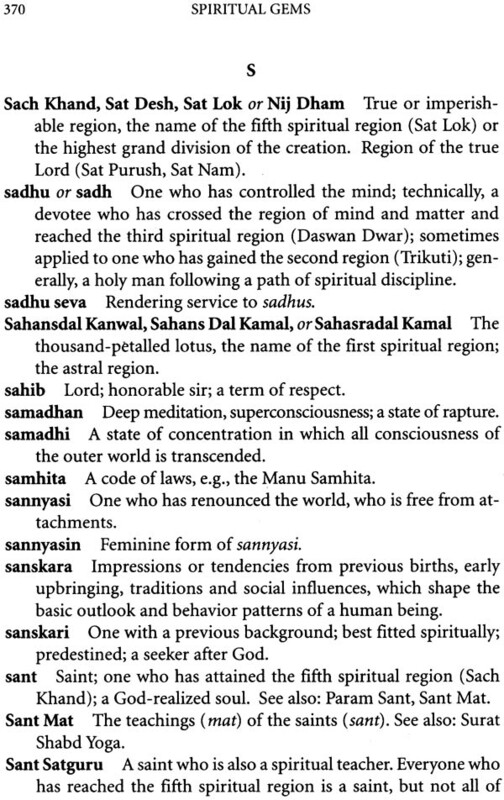 First is simran, or the repetition of Lord’s holy names. 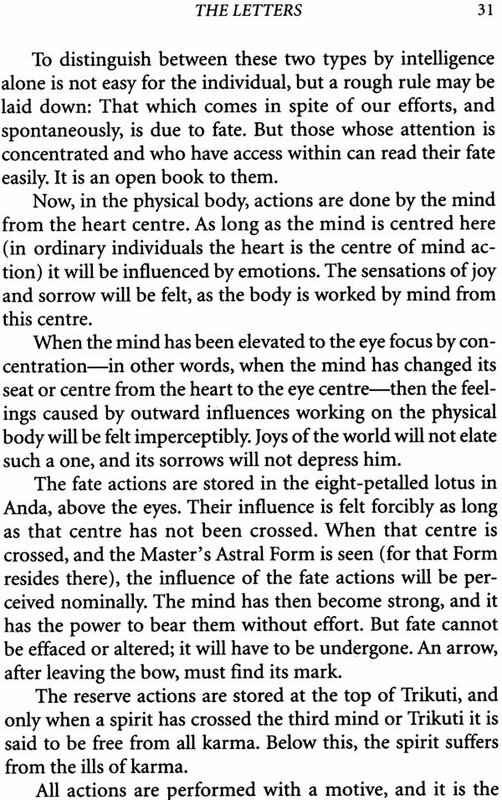 It brings back our scattered attention to the tisra till-the third eye (behind our eyes), which is the headquarters of our mind and soul, in the waking state, whence it has scattered. 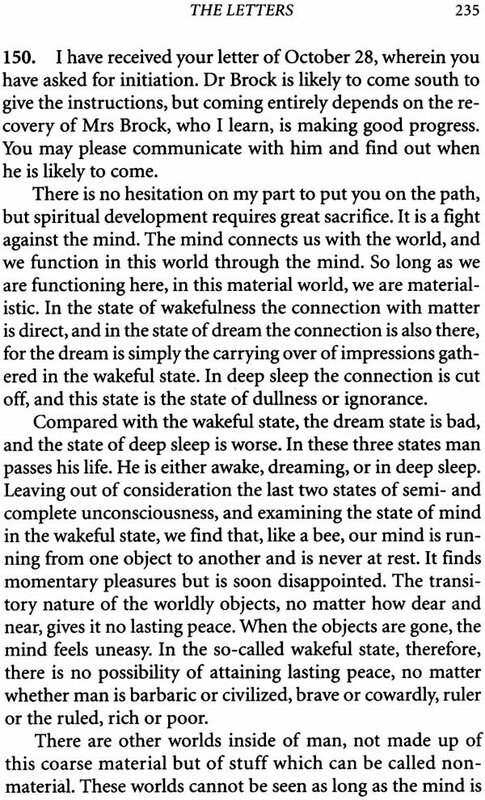 Second is dhyan, or contemplation on the immortal form of the Master. This helps in keeping the attention fixed at that centre. 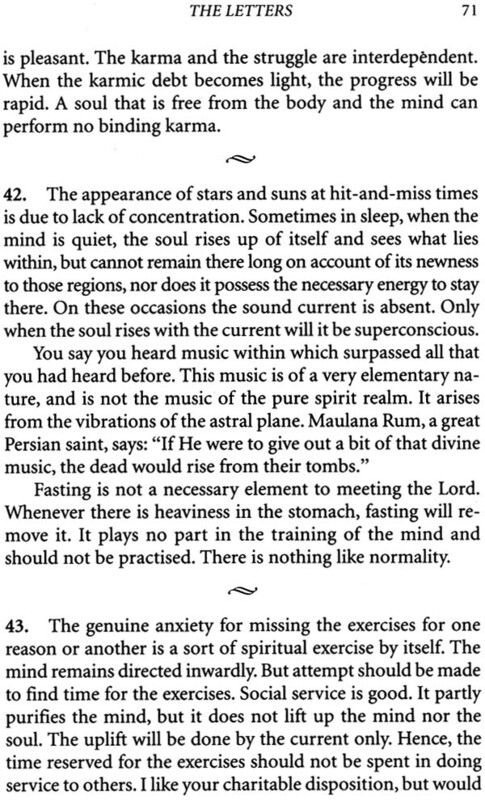 Third is bhajan, or listening to the Anahad Shabd or celestial music that is constantly reverberating within us. With the help of this divine melody, the soul ascends to higher regions and ultimately reaches the feet of the Lord. This, in a nutshell, is the gist of the spiritual practices which the saints of all ages and countries have been teaching to their disciples for the purpose of God-realisation. 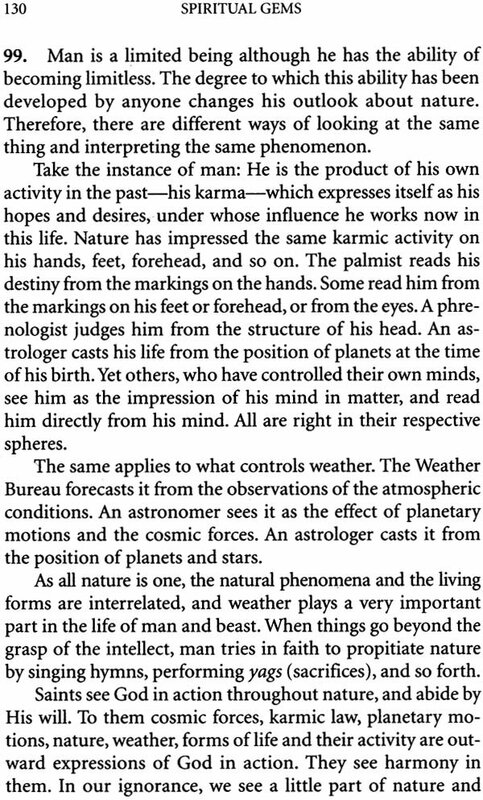 Blessed are those who come across a perfect Master, who takes them back to their original home. The Great Master, Huzur Maharaj Baba Sawan Singh Ji, has been one of the greatest exponents of these teachings that the world has ever produced. 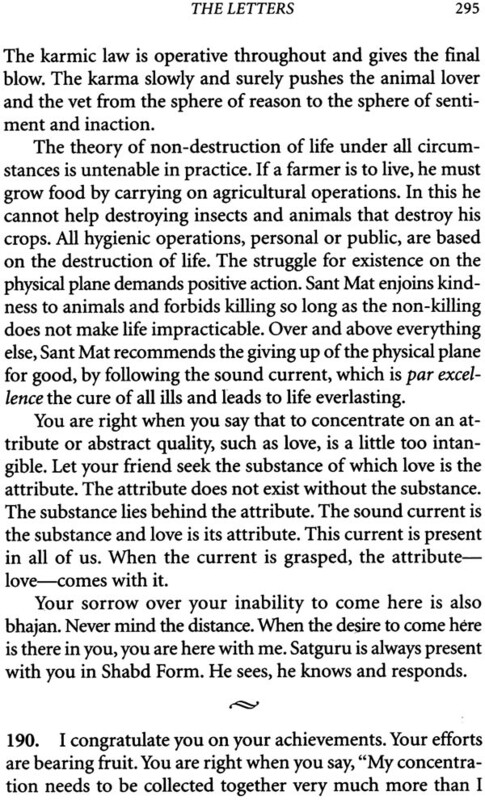 Born in 1858 in a highly respectable Sikh family of Punjab, he showed signs of great spiritual understanding from early childhood. 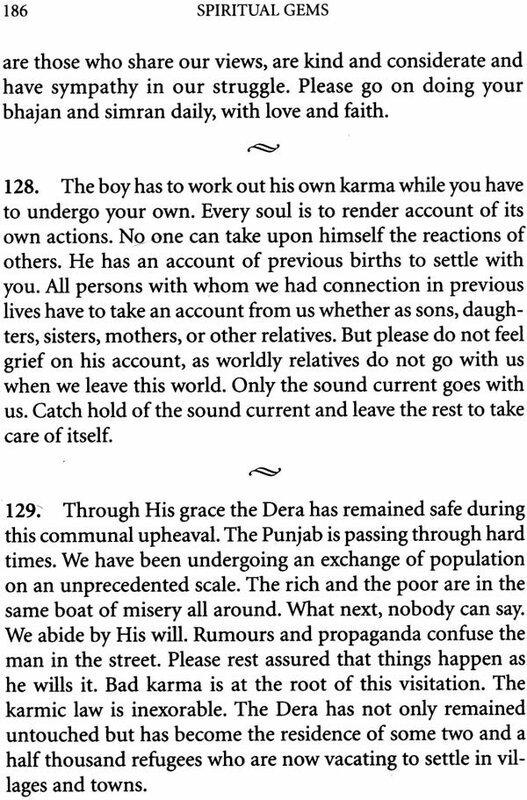 As a boy he could repeat by heart the “Japji Sahib” of Guru Nanak and “Jap Sahib” of Guru Gobind singh. 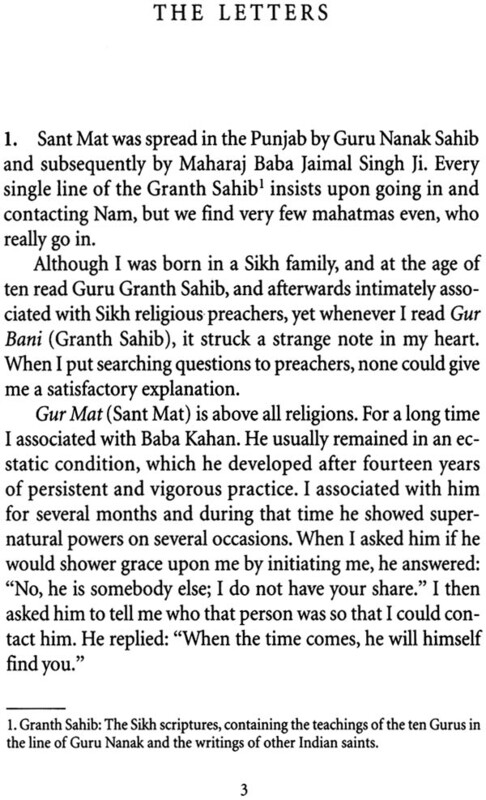 His great spiritual hunger and thirst for knowledge of truth and reality brought him in contact with Baba Jaimal Singh Ji in 1894, who at the time of initiating him remarked that he had been holding something for him in trust from the Lord, which he had discharged that day. In 1911, Huzur Maharaj Sawan Singh Ji retired prematurely on pension from the Military Engineering Service, to attend to his real task for which he was commissioned by the Lord. He preached and taught the practice of Surat Shabd Yoga at the Radha Soami Colony, Beas, Punjab, which he named Dera Baba Jaimal Singh, after the name of his Master. Millions Flocked to hear his spiritual discourses. He initiated more than 125,000souls into this mystic path, the largest number in the history of the world ever to be initiated by any saint, sage, or prophet (until that time). He spread the light of Sant Mat, not only in every nook and corner of India, but also carried its torch to the distant lands of Europe, America, Canada, and South Africa. The spiritual practices taught by him for God-realisation are the same as those taught by Christ, Kabir, Nanak, Paltu, Dadu, Jagjiwan, Tulsi, Maulana Rum, Shamas-i-Tabriz, Hafiz, Mujadid Alf Sani, and other saints of the world. 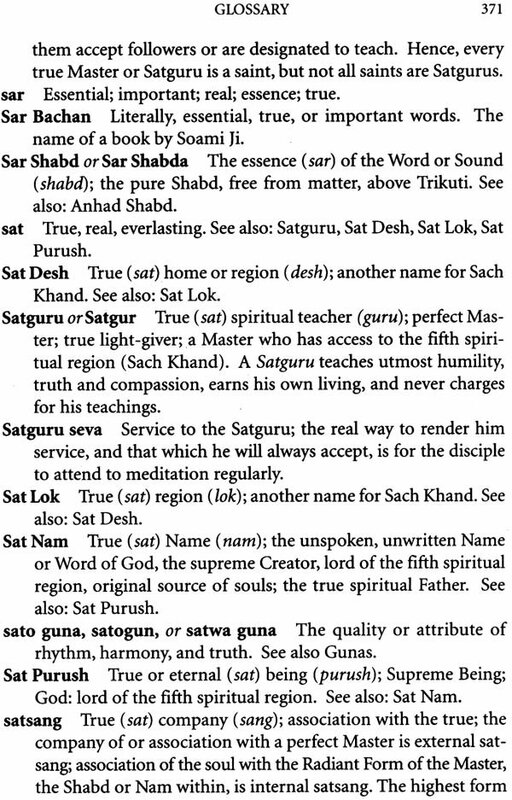 These practices are mentioned in the Vedas as Anahad Marg, by the Muslim mystics as Sultan-ul-Azkar, and in the Bible as the World or the Logos. The followers of the Great Master in cluded people of all religions, countries, and nationalities. 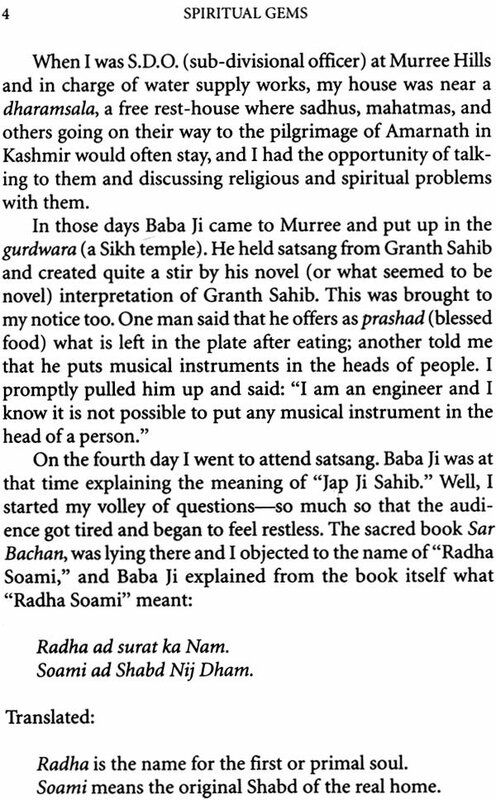 When he started his work, the light of Sant Mat was slowly fading out. 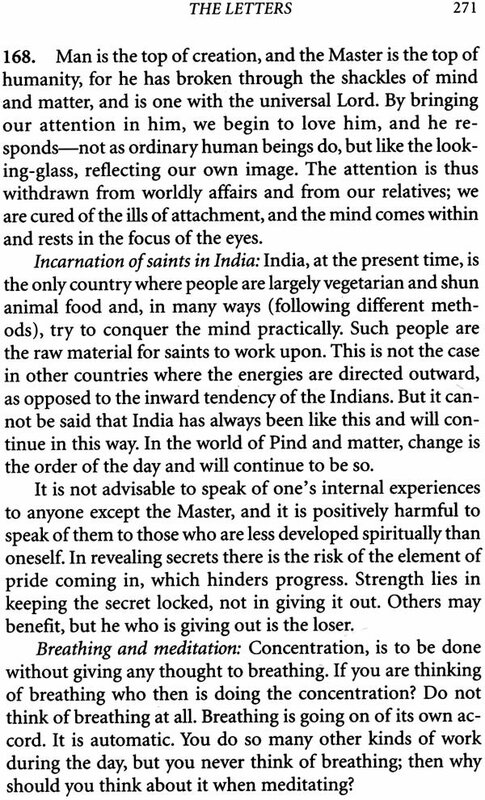 People under the influence of priestly classes had taken to rites and rituals and had forgotten the teachings of the saints. 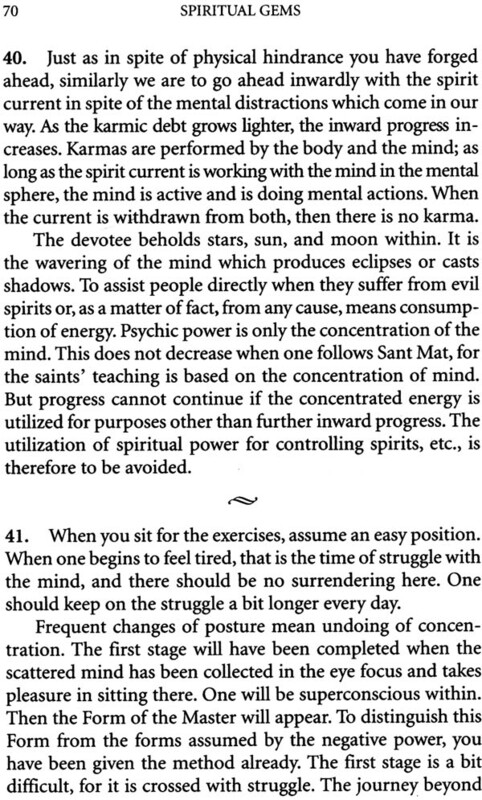 Nobody knew what Surat Shabd Yoga was. Now, by his grace, large satsang centres have been established, not only in the length and breadth of India, but throughout Europe, America, Canada, South Africa, and other countries. His famous book, Gurmat sidhant (Philosophy of the Masters), consisting of two large volumes of 1,000 pages each, and his Discourses on Sant Mat, in two volumes, have been translated into English and many other languages. He left the mortal coil in 1948, after duly appointing Sardar Bahadur Jagat Singh Ji, retired Vice Principal of Lyallpur Agricultural College, as his successor, to carry on his Lyallpur of pointing the way to the abode of bliss.